Following the enrollment of the two largest classes in Tulane’s history, the Tulane administration and campus facilities are making necessary changes to accommodate student needs. The Class of 2020 already hit an all-time high for student enrollment with a class size of 1,849 students, exceeding the previous class by 100. The Class of 2021 is comprised of 1,897 students even though 700 fewer students were admitted than were the year before. Though admissions lowered the acceptance rate, it can be difficult to predict exactly how many students will actually enroll, according to Director of Admissions Jeff Schiffman. When admissions realized the Class of 2021 would be bigger than expected, the university made some accommodations. 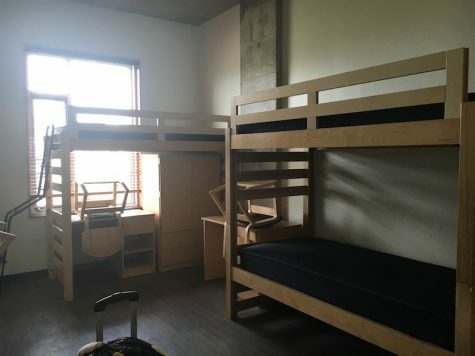 To ensure there would be enough housing for freshmen last year, many students living in Wall Residential College, the freshman honors dorm, lived three people to dorm rooms intended for two. This year, more triples were added to Wall in addition to “expanded doubles” that fit two students into dorm rooms intended for one person. According to sophomore Maddie Muldoon, who lived in a Wall triple her freshman year, space was the key issue. “Ultimately space was the biggest issue throughout the semester … three people in that space was kind of crammed because it is a space intended for two people,” Muldoon said. Freshman Hannah Erbrick, who lives in an extended double that shares a bathroom with a triple, agrees that the lack of space and not being able to have her own regular-sized wardrobe has been a problem. Last year, freshmen living in triples were not notified of a third roommate until a couple of weeks before move-in day. “… if they announce it ahead of time where people just know that that is a thing that could happen, that would make it go over better, I would say,” Muldoon said. 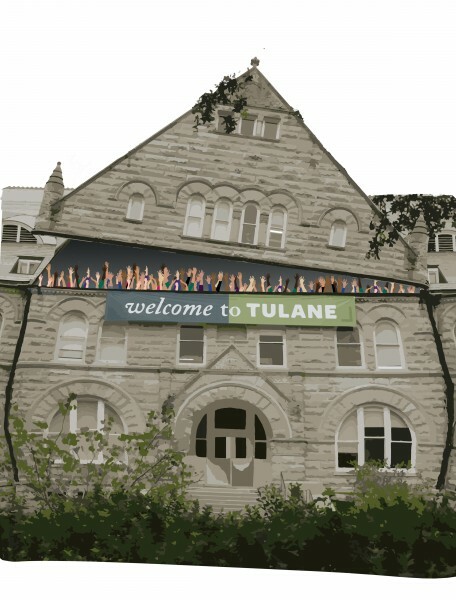 This year, Tulane warned incoming students that this could be a potential dorm situation and gave them an opportunity to opt in to triples. Those who requested or said they would be willing to live in triples or extended doubles enjoy lower housing costs, free printing and free bathroom-cleaning services. To accommodate more students, Wall Residential College introduced triples and “expanded doubles” for freshmen. Porter said another focus of the accommodations has been adding additional staff across campus, particularly in health services, Counseling and Psychological Services, Student Resource and Support Services and the Goldman Center for Student Accessibility. In a meeting with student organizations, the Division of Student Affairs and President Michael Fitts, many students cited overcrowding at Bruff Commons during breakfast and lunch as a concern, according to Porter. In response, Dining Services has implemented campus-wide changes to make meals more accessible to students during all hours. According to Lisa Norris, director of Dining and Auxiliary Services, adjustments were made last year to accommodate the increasing class size. This included adding meal swipes usable outside the dining hall called “Quick Picks,” which have been added to many Lavin-Bernick Center for University Life dining locations. Dining Services has also extended the hours of Roulez and Ironsides Waffles to include breakfast hours. Academic Affairs also implemented initiatives such as adding new sections to classes to ensure students could enroll in classes in which they were interested. Reily Student Recreation Center will also undergo changes to account for its increased membership and to keep up with growing needs within the facility. Rather than continuing the expanding class trends from the Classes of 2020 and 2021, the Office of Undergraduate Admission plans to lower the incoming class size in the future. “The plan is to decrease the size of the next incoming class back to around 1,700 students,” Schiffman said. Despite some of the changes for which growing class sizes have called, increases in applications and enrollment could help the school in years to come, according to Schiffman. The version of this article that ran in print in the Sept. 14 issue incorrectly listed Adrienne Underwood and Jonathon Marks in the byline. Fiona Grathwohl and Jonathon Marks are the students who covered this story.